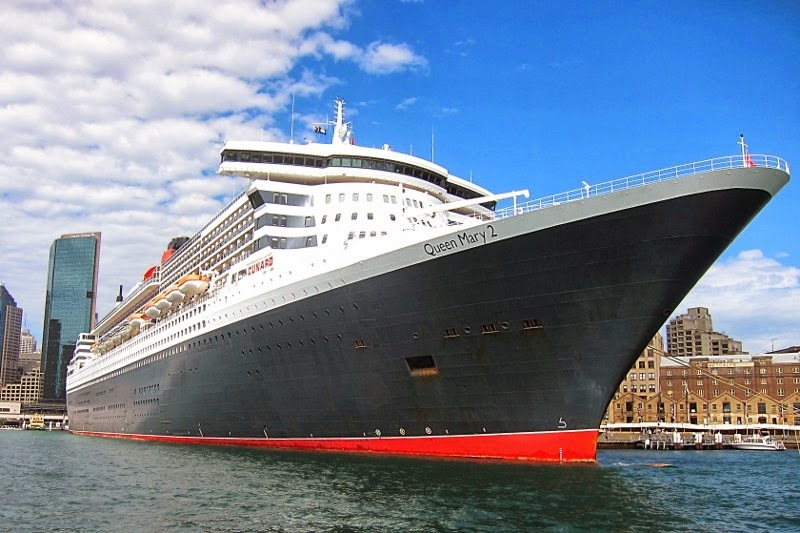 About a week ago, the Queen Mary 2, shipping company Cunard Line's flagship once again visited Sydney. The 151,400 ton ship is 345 meters (1,132 ft) long, 41 meters (135 ft) wide (45 m / 147 ft 6 in) at bridge wings), and with a height of 72 meters (236 ft 2 in), it's too high to fit under the Sydney Harbor bridge. 14 of the 17 decks are available to the guests / passengers. The maximum capacity is 3,090 passengers, with a crew of 1,288 looking after the guests and running the ship. Further technical data and key figures are available on this technical fact sheet (PDF). You can also explore the QM2's deck plans (PDF). Note: Photos have been processed with GIMP; composite images have been created with Hugin.